While most film festivals promote themselves as bigger and better every year, the 17th installment of the Busan International Film Festival is certainly living up to the hype. With the first non-Korean hosting the opening ceremony in the form of Chinese actress Tang Wei, with the festival spread out across 10 days (as opposed to 9 in 2011), and with 132 world and international premieres, BIFF 2012 has done an incredible job in cementing itself as one of the key film festivals throughout Asia. The popularity of this years installment is acutely visible, as online tickets sold out rapidly whilst the 20% allocation at the event disappeared by mid-morning. There were a lot of events to be had during the opening weekend of BIFF 2012. While Haeundae Beach was the host for several interviews and performances, the screenings themselves also often sported Q & A sessions with directors, producers and/or the stars themselves to an unprecedented degree in BIFF’s history. It was also common to walk into or past coffee shops and see film-makers meeting and conversing, creating a very relaxed atmosphere with their approachable demeanor. On Friday the 5th, a private party was held for those that work within the film industry as well as journalists, while the cast of Kim Ki-duk‘s latest feature, the incredibly successful Pieta (피에타), were also in attendance. Saturday the 6th saw two events take place. 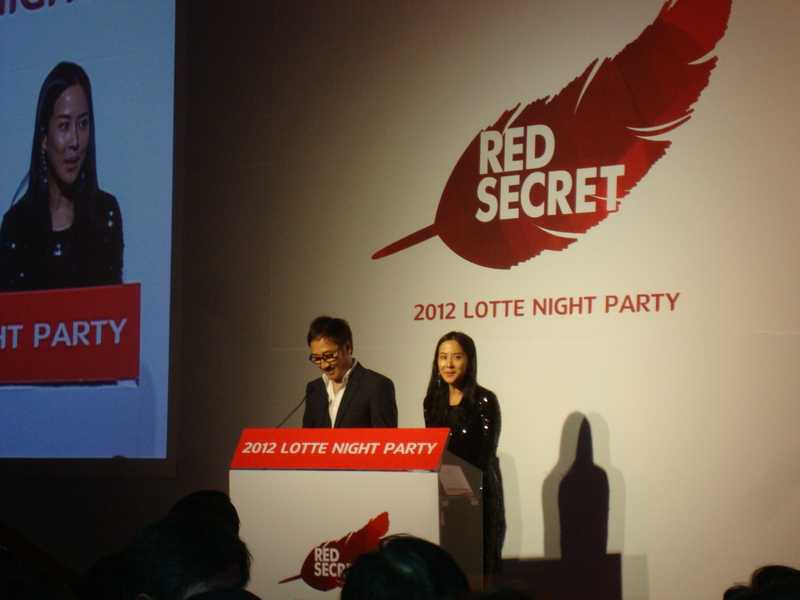 The Lotte Night Party – Red Secret was hosted by The Servant (방자전) actress Jo Yeo-Jeong and gave awards to those who had contributed significantly over the past year. Among those receiving awards were notable screenwriters and actors, including host Jo Yeo-Jeong and A Muse (은교) actress Kim Go-eun (김고은). Also in attendance were actor/director Yoo Ji-tae (유지태) and his wife, as well as Ahn Seong-gi (안성기), and former BIFF director Kim Dong-ho (김동호). 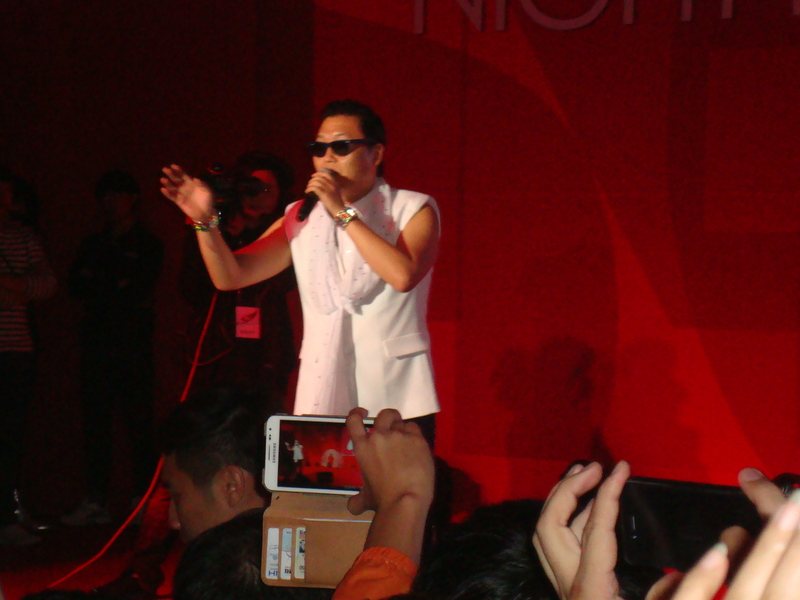 Yet the most memorable event at the Red Secret party was the arrival of now-global-megastar Psy, who performed several of his hits as well as the groundbreaking Gangnam Style to a rapturous crowd. The second party of the night was held by CJ Entertainment, and the style was markedly different. In terms of performers parody group The Wonderboys were amazing fun as well as providing some great music to warm up the crowd for the main act – Kpop superstars Sistar. The quartet sang some of their most famous hits accompanied by their signature dance moves that had the crowd chanting their names. In attendance were a variety of people involved in the film industry including REALies president Kim Ho-seong and renowned editor Lee Sang-min. There were also a whole host of film and television stars, including the cast of period drama-comedy Masquerade (광해, 왕이 된 남자) – Lee Byeong-heon (이병헌), Ryoo Seung-ryong (류승룡) and Jang Gwang (장광) – as well as TV star Kim Min-jong (김민종) and As One (코리아 ) actor Lee Jong-suk (이종석). However a genuine highlight of the night was actress Go Ah-ra (고아라) (star of Pacemaker (페이스메이커) and Papa (파파)), who was incredibly kind, courteous and humble, giving genuine insight into the differences in working in the Korean film and television industries. Sunday night saw the Korean Film Council (KOFIC) event, which saw fellow The Good, The Bad, The Weird (좋은 놈, 나쁜 놈, 이상한 놈) actors Song Kang-ho (송강호) and Jeong Woo-seong (정우성) attending, in addition to a myriad of other stars and members of the film industry. And so ended the first weekend of the 2012 Busan International Film Festival. 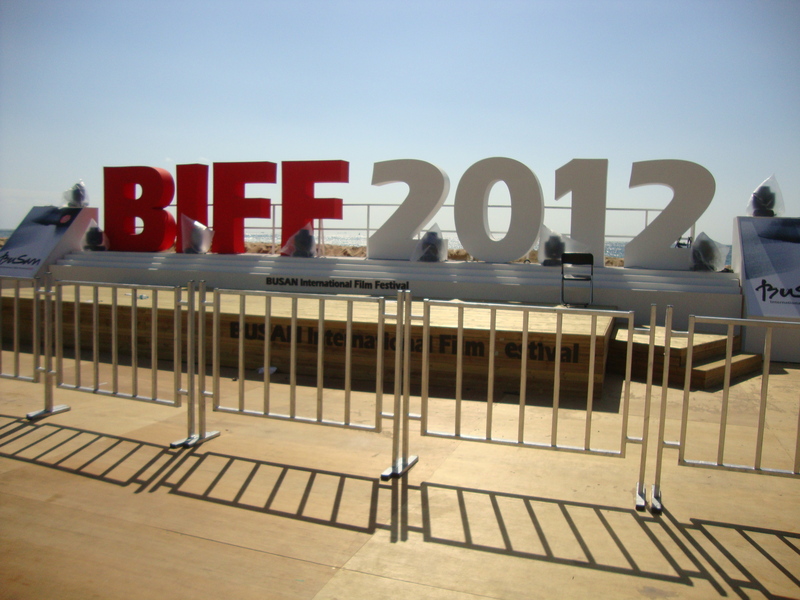 With the incredible selection of films, variety of events in which the public could have access to members of the film industry, and unprecedented popularity, it is difficult to imagine how BIFF will grow and improve in with future installments but one thing is for certain – the BIFF team will undoubtedly find a way.